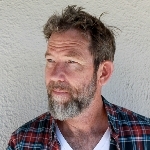 CSUB Art Department graduate, Jeff Colson, was awarded a John Simon Guggenheim Memorial Foundation Fellowship for U.S. and Canada Competition, Creative Arts – Fine Arts, 2012. The Fellowships assist research and artistic creation for artists and scholars. More information.